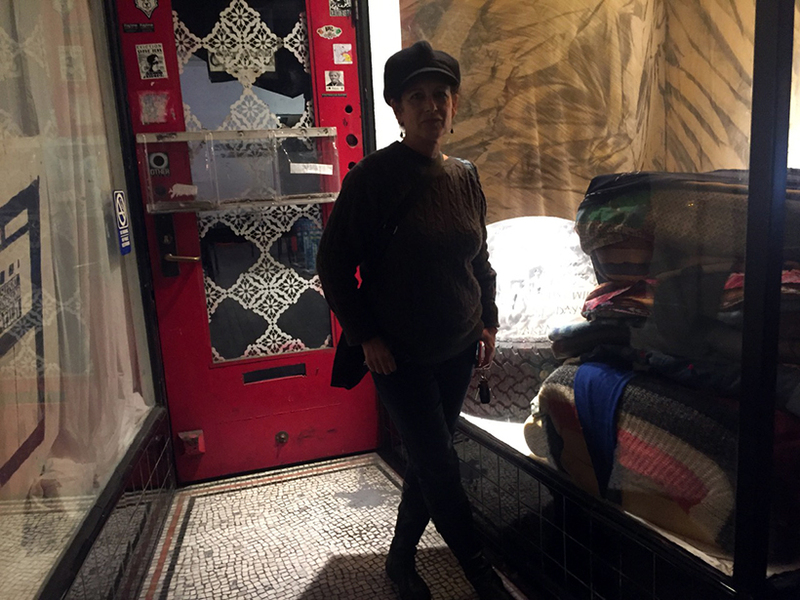 One of the enduring non-profits on Valencia Street is ATA, Artist Television Access, a place started in the early 1980s when galleries excluded video art. Throughout the year, the windows fill with revolving, sometimes inexplicable, but always curious art. 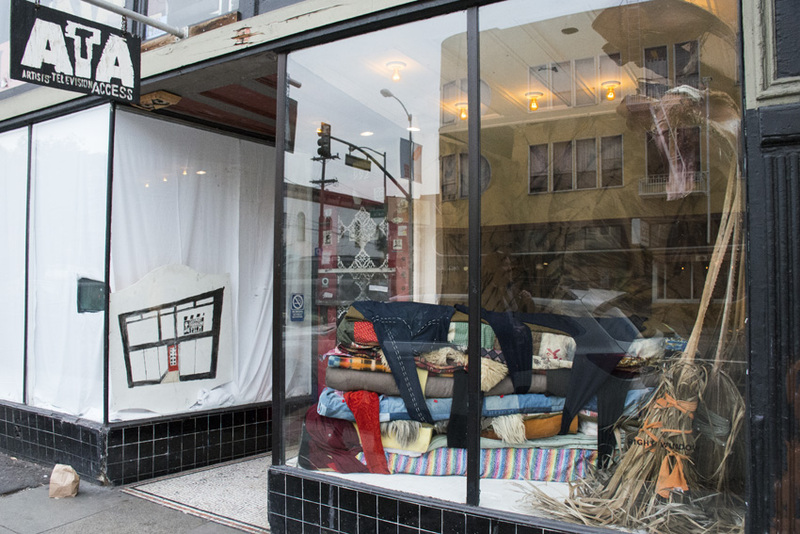 The Left window is curated by ATA and the Right Window, by a collective of the same name. 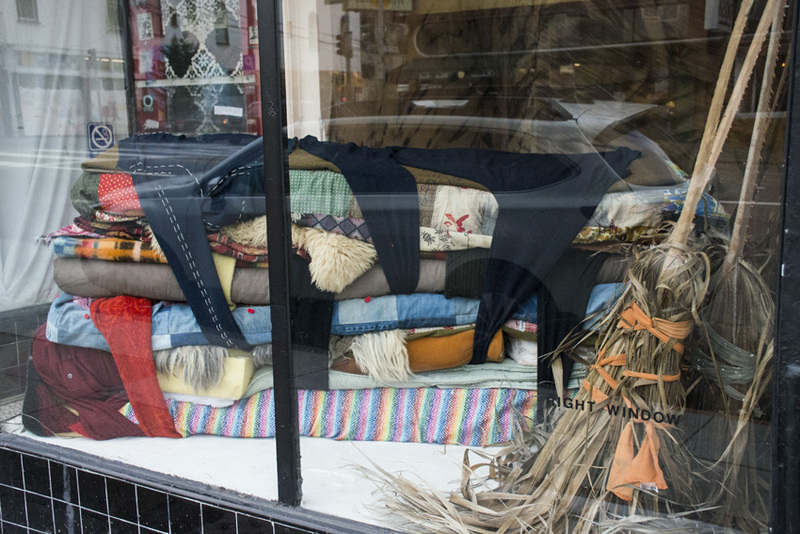 When I walked by the other night, artist Amy Trachtenberg was just finishing up a piece for the Right Window so I asked about the inspiration for the stacks of cots, covered in clothing. She had recently read J.M. Coetzee’s Waiting for the Barbarians and one passage stuck with her. “Be patient” begins the sentence, but it is not counsel she wanted to give. “This stack of bedding and clothing is kind of dually evoking our homeless crisis and refugees and being on the move. This I thought of as kind of a hideout, though it is in plain view,” said Trachtenberg. The umbrella-like objects were made from fallen palm fronds the artist found in Precita Park.